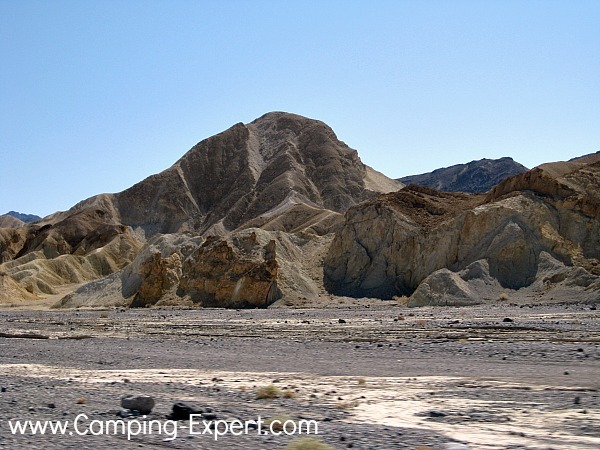 Death Valley Camping – is it really that hot!?! Is it really that hot!?! I’ll share what I loved about Death Valley Camping with great pictures, things to do, and what we enjoyed… plus I’ll answer ‘is it really that hot’? Death Valley is an incredible place. It is the lowest elevation in North America, and so it is HOT! (yup, it is THAT hot) You can drive only a few hours and get to Yosemite with elevation and thus lower temperatures. The park is arid and dry with very few trees. 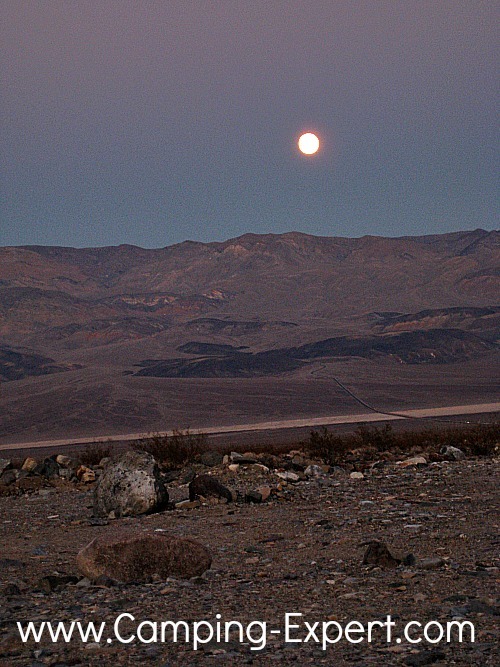 One thing that we REALLY liked is that death valley camping inside the park is CHEAP. After spending time at Yosemite (which isn’t as cheap), we were pleasantly surprised. Camping was $7.50 per night (for basic site), and the camping included free showers, flush toilets, and even wifi!!! (which was tooo slow, but still…. You can’t beat the price). This is the price that camping should ALWAYS be. The sites were pretty nice with a scattering of trees and picnic tables. When we were camped there in late September, during the evening it cooled down, and so we relaxed on the picnic table and a desert fox came near our table. It was too dark to get a picture, but it is one of those memories that will last throughout my life. A very beautiful cat sized fox with HUGE ears right next too us! SO neat! Note: Make sure to have a full tank of gas before entering the park because the gas is exorbitant in pricing. Plus it takes a while to drive past all the breathtaking views! There are also these stacks of grass, which are called Devil’s Cornfield. In the park, there are old charcoal domes that are old stone buildings made back in the day meant for cooking charcoal they are called the Wildrose Charcoal kilns. 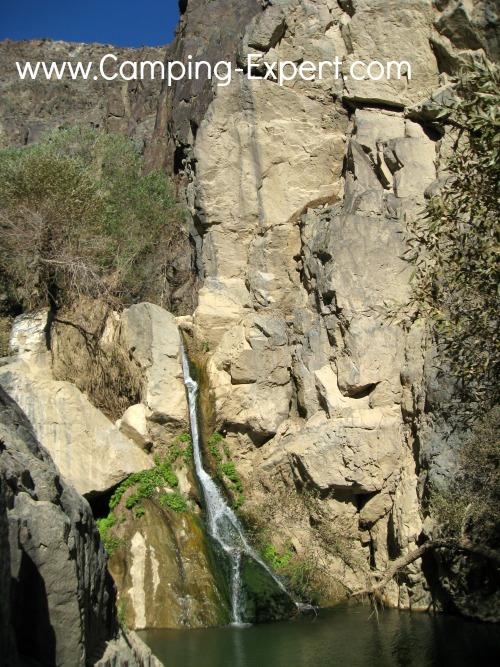 One of the hikes that we enjoyed was visiting the waterfall in the plus. 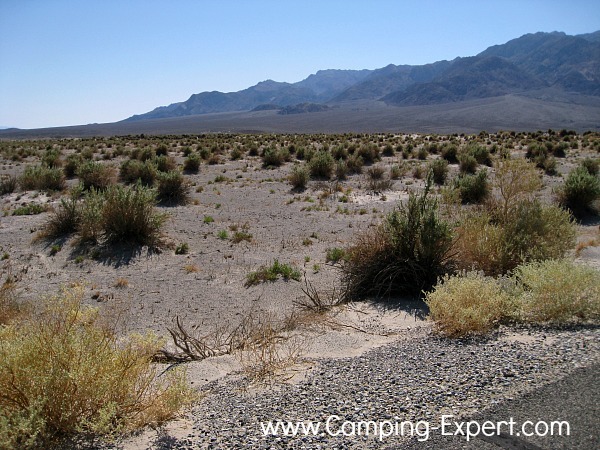 This trail is near Panamint springs area, and although the road is pretty bumpy, it’s worth the trip. I think a waterfall in a is pretty neat! 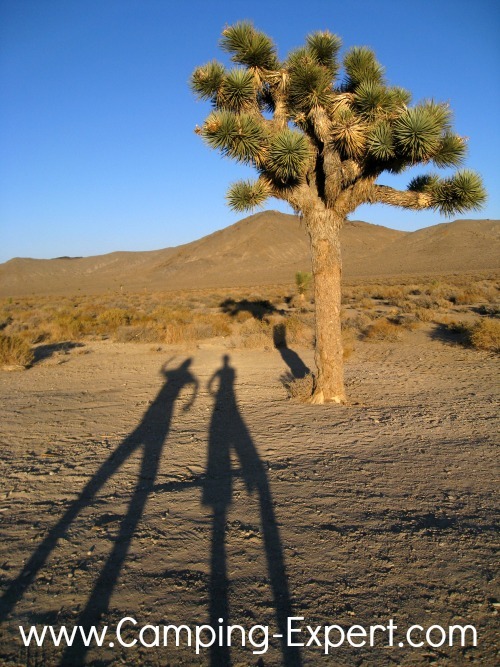 The Joshua trees are pretty neat, but they are few and far between. Check out my other pages on neat camping places with all of my own pictures!